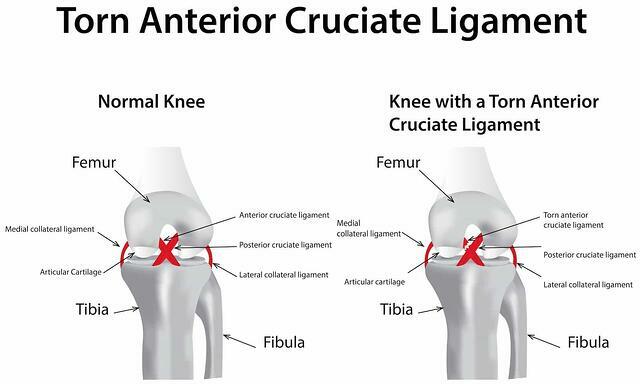 Before looking at the signs and symptoms of an anterior cruciate ligament injury, it's helpful to understand a bit about the anatomy of the knee. 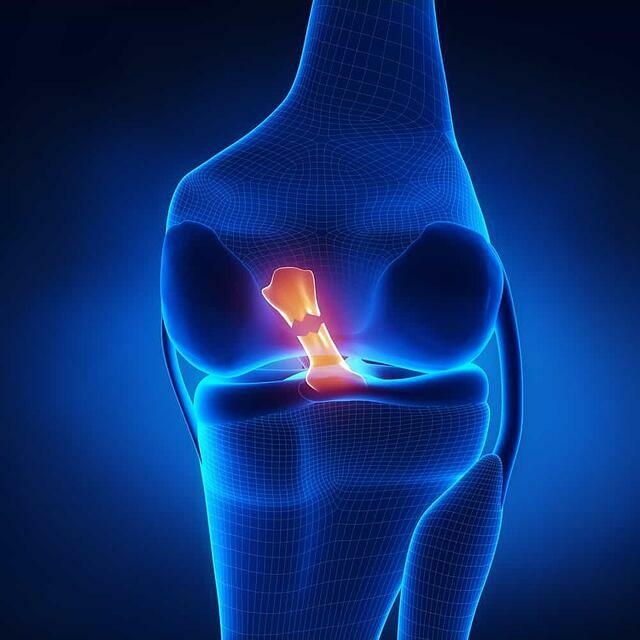 The ACL is one of the four major ligaments of the knee joint. These four ligaments join the upper and lower bones of the leg together. Together, they stabilize the knee joint and guide the range of motion for the lower leg. Without the full use of any one of these ligaments, the knee can be unstable. Anterior cruciate ligament (ACL). Located in the center of the knee, the ACL controls rotation and forward movement of the shin bone — for example, when kicking or taking a forward step. 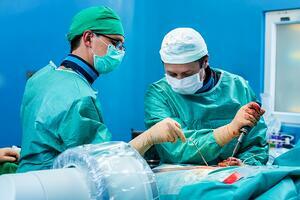 The ACL is a broad, thick cord made up of interwoven strands of collagen. Posterior cruciate ligament (PCL). Also located in the center of the knee, the PCL controls backward movement of the shin bone — basically, the bending of the knee. Medial collateral ligament (MCL). The MCL stabilizes the inner knee. Lateral collateral ligament (LCL). The LCL stabilizes the outer knee. The ACL can withstand up to 500 pounds of force. However, because it controls rotation of the knee, the ACL is the most common knee ligament to be damaged. ACL damage is most often seen in athletes. The fast lateral movements and twisting motions required by many sports can sometimes lead to a sudden over-stretching of the knee ligaments. These strains can cause the ligaments to tear or even rupture, resulting in the knee becoming unstable. All of the major ligaments of the knee can sustain these types of injuries, but a tear in the ACL is the most common knee ligament strain. No matter what the level of injury, a torn ACL can severely limit knee movement; an athlete who has sustained an ACL tear will most likely find she is suddenly unable to turn, twist her leg, or pivot. High school athletes, professional athletes, or anyone involved in a sport that involves running, stopping, jumping, and/or pivoting, may be more prone to ACL injury. Sudden bending and twisting. ACL injuries can happen when your knee joint is bent backward, to one side, or twisted. The risk of injury is higher if more than one of these motions happens at the same time. A force hitting your knee. When your feet are planted and your knee is locked (straight or bent), a sudden blow or impact can cause an injury; a football tackle is a common example. Stop-and-go movements. Fast twisting or pivot motions can be responsible for ACL tears — for example, if you're changing direction quickly, like dodging an opponent on the basketball court or landing hard after a jump shot. Your orthopedic specialist will advise you about the treatment that's best for you, based on your symptoms, the extent of your injury, and your medical condition and medical history. If you suspect an ACL injury, seek treatment as soon as you can; living with a torn ACL may be compromising your knee's stability. Knees that aren't operating as they should can lead to bones rubbing against one another, which may cause osteoarthritis of the knee. This friction can also damage surrounding cartilage or cause meniscus tears. When you see a doctor, the following are some treatments your orthopedist may recommend. Pain relievers are recommended for discomfort. Over-the-counter NSAIDs like aspirin, ibuprofen, or naproxen may alleviate your pain and reduce inflammation (swelling). RICE treatment may be all you need for small tears and minor injuries. However, to rule out more serious damage, you should see a doctor as soon as you can. Your orthopedist may advise treating your knee ligament tear with muscle-strengthening exercises (including physical therapy or aquatic therapy) and a knee brace. While your knee recovers, you may need to limit certain activities. In the worst cases, a complete tear of your ligament may create so much instability that your knee buckles or gives way during normal activities. ACL repair surgery can be performed in a hospital or on an outpatient basis at a surgical center. The damaged ACL is replaced with a piece of healthy tendon from either an organ donor or from elsewhere in your own body, like a hamstring or kneecap. This healthy tendon is grafted into place to hold the knee joint together. After surgery, you may need to use crutches to keep weight off your knee until the swelling goes down. Most patients are able to stop using crutches after two weeks. Follow your doctor's instructions for rehabilitating your knee. Exercises or sports medicine may be recommended to help you recover strength and range of motion. 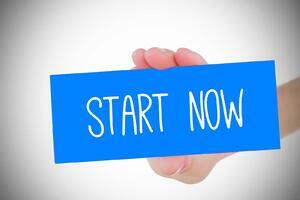 Is it time to see an orthopedic surgeon for your acl? 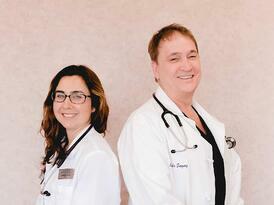 Give Coastal Orthopedics located in Corpus Christi, TX a call and ask for a consultation. Our orthopedic specialists can assess your injury and discuss whether knee ligament repair may be an option for you. Telephone: 361.994.1166.